Sauron occupies Dol Guldur - After the defeat of Sauron at the end of the Second Age, he endured, but became a ethereal spirit intent on regaining his full form. As long as the Ring survived, he survived. 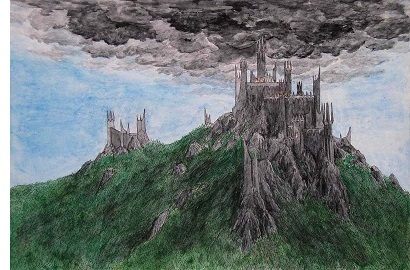 But he could not return immediately to Mordor as his tower of Barad-dûr had been razed. So while his minions rebuilt it, he took up residence on the "Hill of Sorcery".